This entry was posted in atebit, Computers, Demoscene, Music. Bookmark the permalink. 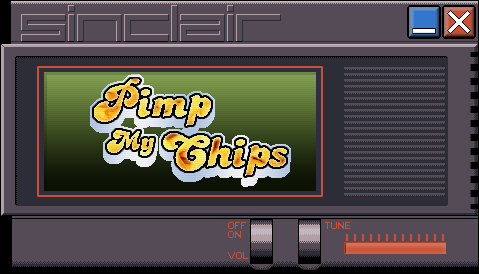 8 Responses to Pimp My Chips…….. finally! Listening to the tracks now and grinning from ear to ear. Thank you! Any chance of versions of these that will run on a real Spectrum 128? I’d love to show off the real hardware with these tracks – they are awesome. Any chance of a release of the VTX files for us poor Mac users please? Audio Overload can playback VTX files.